Where can you find two Flashes and an Iris West all in the same place? 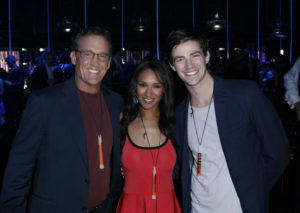 Today, the cast of The Flash hit New York for the annual CW Upfront presentation, and we have some photos for you from the presentation itself and tonight’s party… one of those photos is an especially great picture of Grant Gustin, John Wesley Shipp, and Candice Patton all together! Also in a photo from earlier today, you can see the Flash cast assembled on stage. Here are the pics. If you like the gallery tell your friends to come see them here at FlashTVNews! 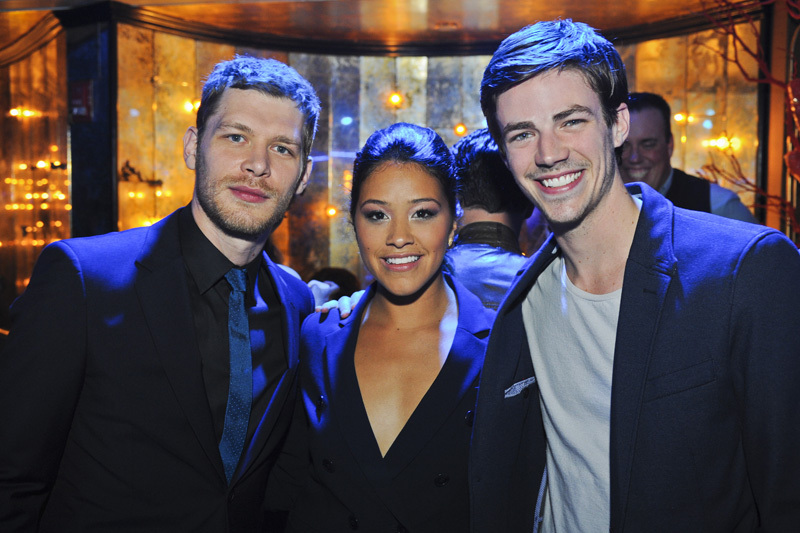 The CW Network's 2014 Upfront Party at Diamond Horseshoe/Paramount Hotel in New York City on Thursday, May 15, 2014 -- Image Number UF2014_PARTY_TK_0583 – Pictured (L-R): Joseph Morgan ("The Originals") Gina Rodriguez ("Jane The Virgin") and Grant Gustin ("The Flash") -- Photo: Timothy Kuratek/The CW -- © 2014 The CW Network, LLC. All rights reserved. Previous: “Lightning Gave Me Abs?” A Longer Trailer For The Flash Is Here!